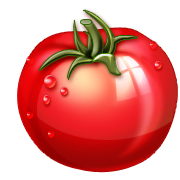 It’s easy to grow Tomatoes! Farndon Road, Newark, Nottinghamshire, NG24 4SQ. 01636 704013. Indeterminate, determinate, cordon, bush, vine, indoor, outdoor, when to remove side shoots, what is the first truss? It doesn’t need to be complicated, so long as the plants are kept warm, watered well and fed once a week when fruiting, you will get a crop. The volume of the crop depends on how you look after them. It’s great to be able to harvest your own fresh tasty fruit straight from the plant. You should start to be able to harvest from mid July onwards, all the way through until late October if the plants are watered and fed regularly. What to grown them in? Tomatoes are vigorous plants. Whether in a greenhouse or outside, they will need either a grow bag, a large pot or to be planted directly into the ground. Grow bags are ideal to plant straight into. You can plant 3 tomato plants to a bag, or you could have different plants, say, a tomato, a cucumber and a pepper in one bag, they will all grow together. If you are planting in a pot, no matter what compost you use they will need feeding, so multi-purpose compost is ideal. If you are planting in the ground, garden soil is fine, but don’t plant in the same place each year as soilborne pests and disease can build up. In a greenhouse or outside? There are plants suitable for greenhouses or growing outdoors. If you are growing them outdoors, they cannot stay outside if there is a risk of frost, so if you are planting early (before the end of May), keep an eye on the weather and be prepared to bring them in if the temperature is going to drop below about 5°C. Try to grow them in a sunny spot. Tomatoes like the sunshine, the more sunshine they get, the sweeter the fruit. So you’ve decided where to grow them. What else do you need? They will need a strong cane to grow up, and you will need to tie them to it as they grow, once the fruit grows, the plant will be heavy and won’t be able to support its own weight. A 5 or 6 foot cane is recommended. They will need plenty of water as they grow, expect to have to water them every day in the middle of summer. You can purchase devices to make this task easier, such as plant halos which give you a reservoir to fill with water, or gravity fed water tanks which makes the task a little more automated. They will need to be fed once a week. We recommend a liquid feed, this is drawn up by the plant as it is watered. Simply add the measured dose once a week to a watering can and apply. Don’t over-feed, it won’t produce more fruit, just more leaf. Liquid feeds are specially formulated and ensure that the plant receives the right balance of fertiliser. If you would prefer to use an organic feed, this is also available. We grow the varieties below and have indicated which ones are best for greenhouses/polytunnels or outdoors. There is also one further point to note. Tomatoes are either ‘indeterminate’ i.e they carry on growing and growing, they are sometimes referred to as vine types, or they are ‘determinate’ i.e these types grow to a certain height and stop growing, they are sometimes referred to as bush types. Indeterminate types should have their side shoots removed otherwise they put energy into growing more and more plant instead of more and more fruit. Side shoots are the buds that grow at the leaf axil. Be sure it is a bud and not a truss you are removing otherwise you won’t get any fruit! Determinate types don’t need any side shoots to be removed as they will only grow to a fixed size/height anyway.